Over the last couple of years, I've become a bit obsessed with finding interesting and unique things for my room. I think it's stemmed from an urge to put a personal stamp on rooms that I rented during (and after) university. Now, however, I'm living back at home with my parents for a little while - no shame in it, lots of us have to after uni - which means I have a lot more freedom to decorate than I did in any of those rented rooms. My room has a semi-intentional eclectic mix of things from different cultures, eras and design styles. You definitely couldn't call it minimalist. I love it, though. The items below might not look like they belong together, but they all have their place in this odd mix. This guy was an unexpected find on a trip up to the Lake District. We stopped at a lovely cafe/gift shop called Chesters By The River, which is near Ambleside. My family and I have been there many times over the years, but I never remember the gift shop being particularly exciting before this trip. In fact, the phrase "gift shop" doesn't really do it justice any more! It could easily be mistaken for the "home" section of a shop like Urban Outfitters, full of interesting books, quirky decorations and beautiful tableware. If you're ever in the area, definitely check it out. Anyway, he's doing a very good job of holding my necklaces. I feel like I should give him a name, since he's now a permanent resident in my room. Any ideas?? I picked this up on my recent trip to Dubrovnik (which you can read about here). I'm a bit of a sucker for anything that looks like it's got a bit of history, and this is apparently a reproduction of a panel on the alter on an old Croatian chapel. I have no idea how old exactly, and I say "Croatian" because I'm not 100% sure that it's from a chapel that stood in Dubrovnik, due to the fact that there's something about Zagreb written on the back. However, I still love it because it will always remind me of that holiday. 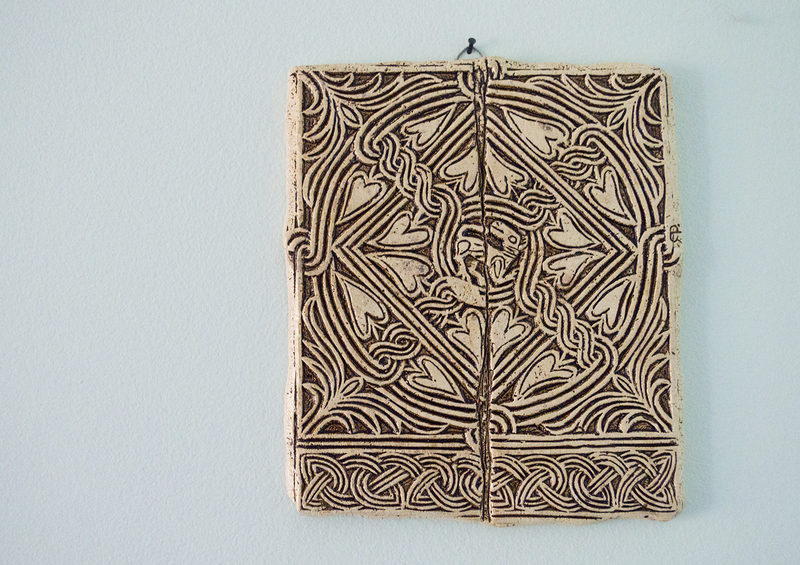 I think the design is beautiful, too - some of the patterns almost look celtic, which I think is really interesting, as I had no idea there was any link between the Celts and Croatia. I spotted this in Marks and Spencer - far less exciting than the origin of the other two, I know. I love the slightly whimsical, yet very British, appeal of a giant pocket watch. To me, it conjures up imagery of Victorian England and Alice in Wonderland. Plus, the copper outer means it's soooo on trend for 2015, dahling. I'd been thinking about getting a new clock for a while, since the one that hung in my room previously was something I'd made at the start of high school, and unsurprisingly was starting to look a bit childish. So, the arrival of this new clock was very timely (no pun intended). What's your decorating style? Do you stick to one theme, or go for a more eclectic look? I'm really eclectic too!! I love that stag hook, it's hella cool. Honestly all of them are so unique and far away from the stereotypical bedroom deco items. Well done! 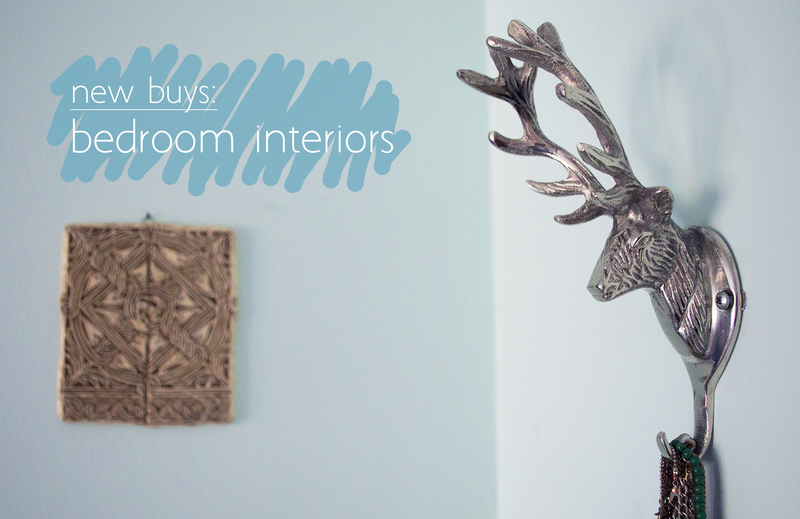 These are such lovely little accent pieces, I'm sure they make a huge difference in the rooms you put them in. I love the stag hook, so cool! 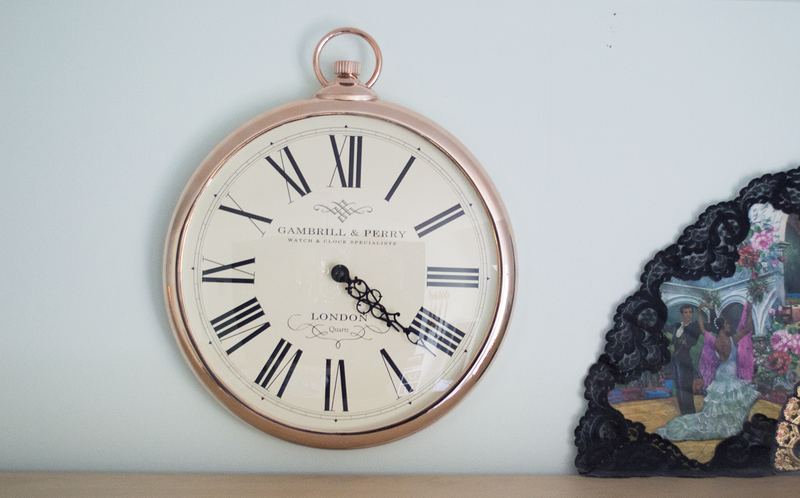 Love the pocket watch clock in rose gold. So chic! My room is exactly the same, everybody calls it Aladdin's cave of wonders! 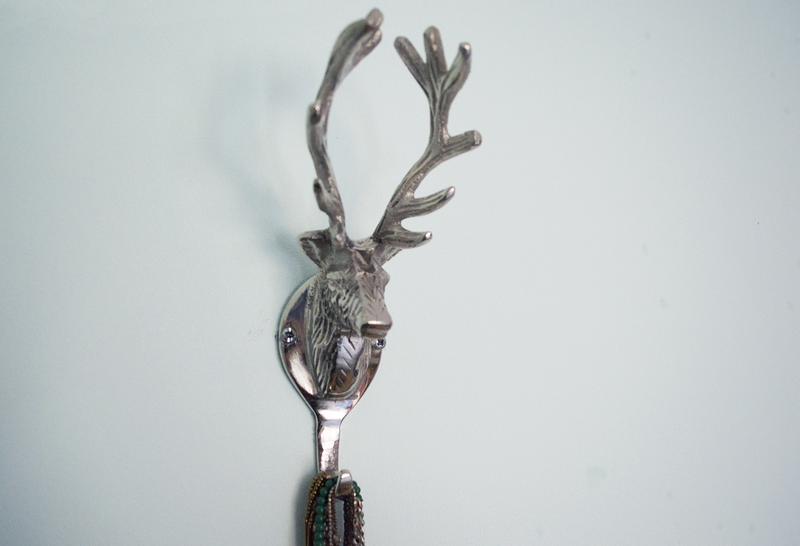 I love the stag hook...it is such a beautiful design! Hello!! blog really beautiful !!! Have a good evening and appreciate your visit on my blog. Amazing deer! Have a nice day, dear! Thank you! Okay, I'll work on a name haha! The pocket clock is so awesome, I love it - really unique. Love the stag hook as well, I've wanted one like that for a while now. That pocket watch is so cute! !